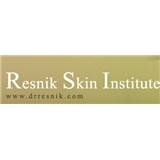 Resnik Skin Institute (Aventura) - Book Appointment Online! He is more like a friend. Barry has saved me from some bad sun damage. I may not see him for a long time, and then something comes up, and he is there. His staff and professionals are a real treat. A friend.